Chemical Plant Taxonomy focuses on the classification of plants based on their chemical composition. 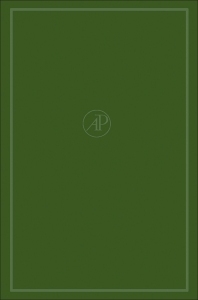 Composed of contributions of authors, the text first considers the methods of plant taxonomy. Folk taxonomy; Linnaean and post-Linnaean taxonomy; Darwin and ""Evolutionary Taxonomy""; and the development of taxonomic practice are considered. The book continues with discussions on the theoretical and practical aspects of the ""species"" concepts and an outline of the history of chemical taxonomy. The selection also looks at the qualities of chemotaxonomy, the usefulness of chemistry in plant taxonomy, biosynthetic pathways, and the factors affecting the production of secondary plant products. The text discusses the distribution of alkanes. The isolation and characterization of alkanes; taxonomic applications of alkanes; biogenesis of alkanes; and fossil alkanes are discussed. The selection highlights the chemical taxonomy of acetylenic compounds, the distribution of fatty acids in plant lipids, distribution of aliphatic polyols, cyclitols, plant glycosides, and alkaloids. The text is a good source of information for readers wanting to study the taxonomy of chemical plants.